Sen. Bernie Sanders (I-Vt.) is gearing up to hit the airwaves with campaign commercials in New Hampshire as he seeks the Democratic presidential nomination, and he wants selfies of supporters for the ads. Sanders' campaign email to supporters in New Hampshire. 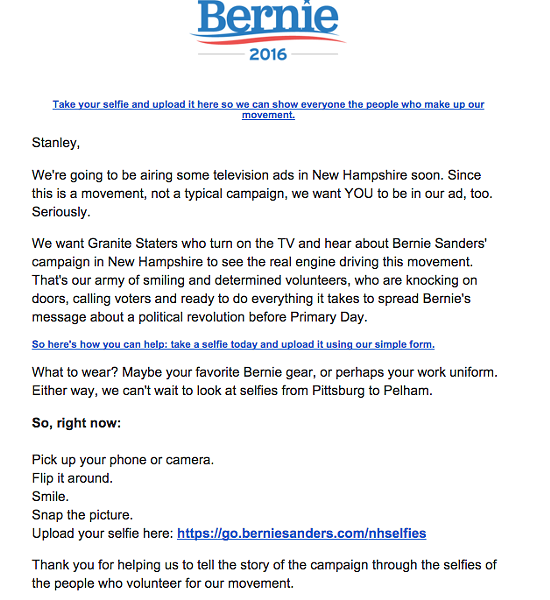 In an email Monday, Sanders’ campaign asked New Hampshire supporters to snap selfies and upload them to the campaign website. 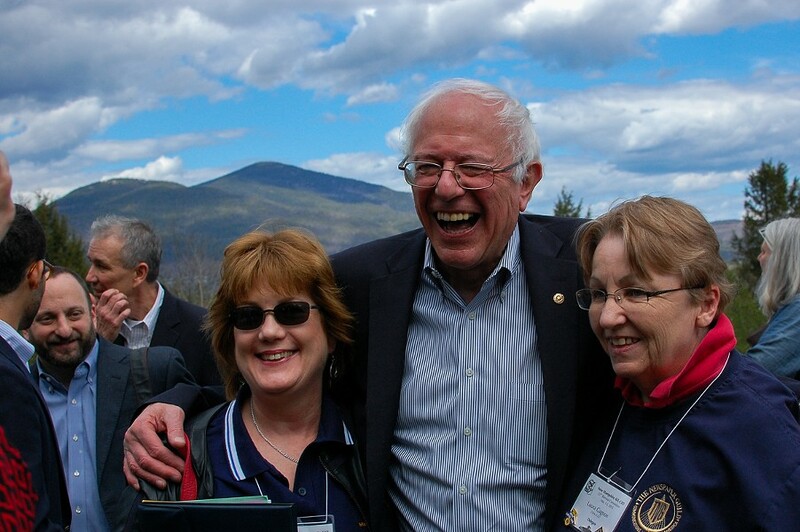 If they are wearing Bernie gear, or their work uniform, all the better. “We want Granite Staters who turn on the TV and hear about Bernie Sanders' campaign in New Hampshire to see the real engine driving this movement,” Melissa Byrne, the campaign’s New Hampshire digital director, said in the email. Last week, Sanders’ campaign strategist Tad Devine told Seven Days he expected Sanders would launch his first TV ads in November, though he wouldn’t say whether they would start in Iowa or New Hampshire, where Democratic opponent Hillary Clinton has run ads since August.